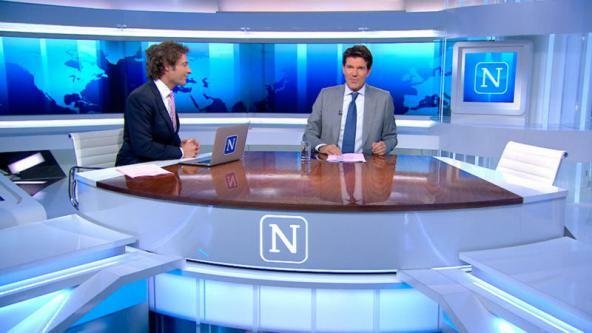 Op 7 september besteedde Nieuwsuur aandacht aan mijn onderzoek naar de recente ontwikkeling van het integratiebeleid (o.m. het UPSTREAM project). Met name het punt dat de huidige toename in aantal asielverzoeken komt op een moment dat het integratiebeleid feitelijk is ontmanteld, werd duidelijk opgepakt. I’m looking forward to already the 12th IMISCOE annual conference, to be held in Geneva. The conference will be jointly organized by nccr-on the move and the universities of Neuchatel and Geneva. After last year’s expansion of the conference, I’m very please that this year’s conference managed to draw an even larger crowd of scholars and experts. On June 18th, the final policy conference of the UPSTREAM project took place in Brussels. The event covers the topic ‘Into the mainstream: rethinking public services for diverse and mobile populations’. The article ‘Between National Models and Multi-Level Decoupling; the Pursuit of Multi-Level Governance in Dutch and UK Migrant Incorporation Policies is now available.’ The article deals with the, largely unsuccessful, efforts to establish vertical ‘multi-level governance’ structures in the coordination of migrant integration policies in the Netherlands and the UK. 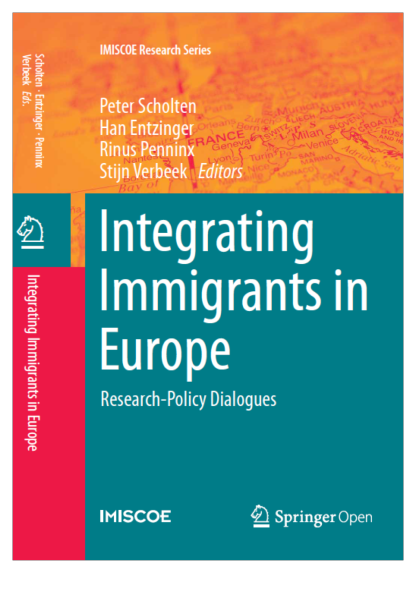 The book ‘Integrating Immigrants in Europe: Research-Policy Dialogues’ discusses the relationship between research and policy in the area of migrant integration. It speaks to migration literature as well as the broader policy sciences and sociology of science and scientific knowledge. The UPSTREAM project (funded by EIF) on the mainstreaming of integration governance will hold its final event on June 18th in Brussels. This invent involves a public discussion on how a coordinated approach to integration may be more effective in creating more effective and inclusive approaches to diversity across the policy making spectrum, and at all levels of governance. When it comes to climate change, sea level rise and flooding, the Dutch have developed a long tradition in terms of controlling the water. The Dutch are good in building dykes. 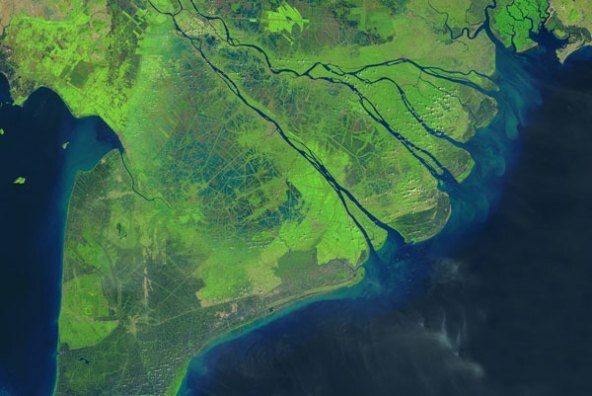 However, they are less pronounced when it comes to the social consequences of climate change, or even the consequences of the more technological interventions in controlling the water. With Elizabeth Collett and Milica Petrovic (MPI-Europe), I’ve co-authored an article titled ‘Mainstreaming Migrant Integration? A critical analysis of a new trend in integration governance.’ The article is based on empirical research done in the context of an MPI project on mainstreaming (link) and an EIF funded project coordinated by Erasmus University on Mainstreaming Integration Governance (UPSTREAM). Roundtable ‘Rethinking Social Inclusion Policy for a Hypermobile, Superdiverse Age’, Brussels, May 19th. In the context of the UPSTREAM project, a roundtable is organized that brings together representatives from local governments throughout Europe and officials from the European Commission on the topic of ‘integration mainstreaming.’ The roundtable focuses on ‘Rethinking Social Inclusion Policy for a Hypermobile, Superdiverse Age.’ It is part of a broader series of roundtables held in various EU member states. 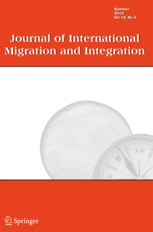 The Journal of International Migration and Integration has accepted my article ‘Between national models and multi-level decoupling: The pursuit of multi-level governance in UK and Dutch policies towards migrant incorporation’ for publication. 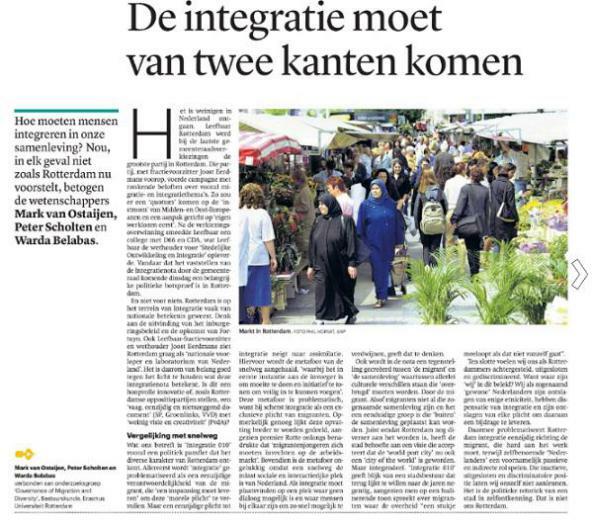 The article is based on my VENI research project on Agenda Dynamics and the Multi-Level Governance of Migrant Integration. Onderzoekers moeten meer oog hebben voor strijdende meningen over wat een probleem is. Kijken naar feiten is niet voldoende. Zogenaamde frame reflexieve of multi-stakeholder methoden van beleidsanalyse bieden betere methoden voor onderzoek en evaluatie van ‘wicked policy problems’. The Journal of Intercultural Studies has accepted the article ‘Interethnic Contact Online. Contextualizing the Implications of Social Media use by Second Generation Migrant Youth’. I’ve co-authored this article with Rianne Dekker and Warda Balabas, both colleagues from Erasmus University. 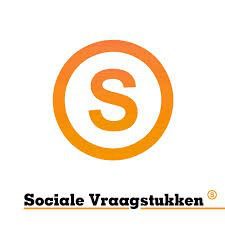 The article deals with the relation between social media use and inter-ethnic context amongst migrant youth in Rotterdam. 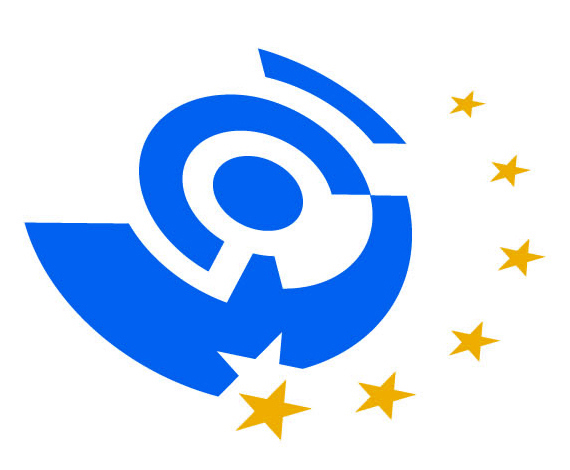 On April 13-14, a Dutch delegation of local and national policymakers will visit Polish counterparts on the topics of diversity mainstreaming and intra-EU mobility. This is part of a broader series of work visits organized in the context of the UPSTREAM project on mainstreaming integration governance.